I made this lunch for my nephew since he enjoys salsa rice with black beans and salsa. I enjoy seeing how many salsa and rice themes I can make. 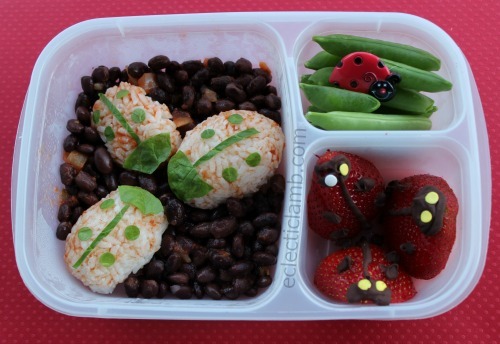 This entry was posted in Bento / Cute Food and tagged EasyLunchboxes, insect, salsa rice. Bookmark the permalink.